Underscoring the weakness encountered this year by non-cyclical consumer funds is this statistic: of the 14 members of the Dow Jones Industrial Average in the red this year, two are consumer staples names. For investors looking to nibble at lagging consumer ETFs, the good news is there are some signs the previously moribund sector is perking up. Recently, Dow component Procter & Gamble (NYSE:PG) — usually the largest holding in cap-weighted consumer funds — surged after reporting quarterly “net income for the quarter ended Sept. 30 climbed about 12 percent to $3.20 billion, or $1.22 cents per share, from $2.85 billion, or $1.06 cents a share, a year ago. Excluding one-time items, P&G earned $1.12 cents a share, 3 cents ahead of analysts’ consensus,” according to CNBC. Here are some consumer ETFs to consider for conservative investors looking for a play in consumer staples. As has been widely reported, Fidelity is becoming a major play in the low-cost ETF arena and that includes its consumer funds. The Fidelity MSCI Consumer Staples ETF (NYSEARCA:FSTA) is currently the least expensive consumer staples ETF on the market. The $311.5 million FSTA follows the MSCI USA IMI Consumer Staples Index, giving this consumer fund the plain vanilla cap-weighted approach to the staples sector. That means that while this consumer fund is home to nearly 90 stocks, it is dominated by the likes of Procter & Gamble and Coca-Cola Co. (NYSE:KO). Those stocks combine for over 22 percent of FSTA’s roster. Coca-Cola reports earnings on Oct. 30, an event that could serve as a near-term catalyst for FSTA. This consumer fund has a dividend yield of 2.73%. 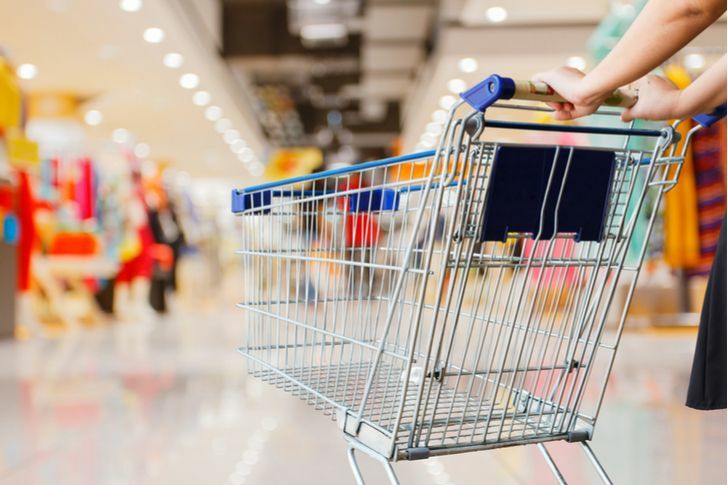 The Invesco S&P 500 Equal Weight Consumer Staples ETF (NYSEARCA:RHS) is an appropriate consumer fund for investors looking to avoid some of the concentration associated with cap-weighted consumer funds, such as the aforementioned FSTA and XLP. The $514.50 million RHS holds 32 stocks, none of which exceed weights of 3.57%. This consumer fund allocates nearly 56% of its combined weight to food and beverage makers. Over 62% of RHS’s holdings are considered value stocks. Equal-weight strategies can mean exposure to small-cap stocks, but that is not the case with RHS as it holds no small caps and features only moderate mid-cap exposure. This consumer fund has a five-star Morningstar rating. Often overlooked among consumer funds, The Organics ETF (NASDAQ:ORG), issued by Janus Henderson, is a thematic consumer fund offering exposure to the booming organic foods trend. “For many Millennials, living an environmentally friendly lifestyle plays a major role in their consuming habits as they are deeply committed to supporting a food system that sustains and nurtures the environment. 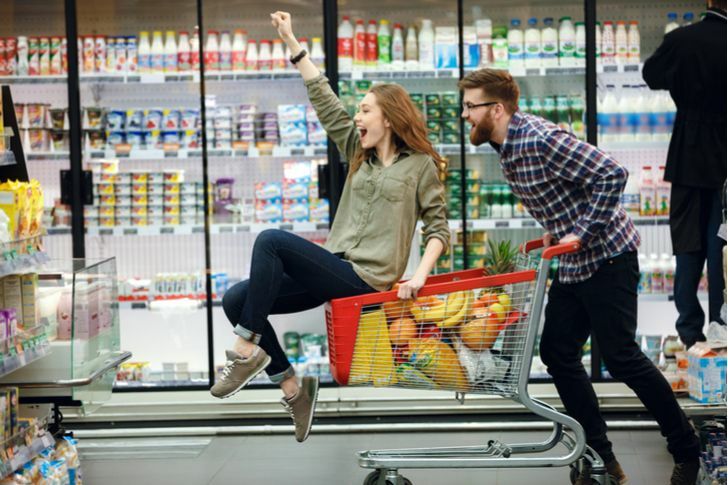 For 40% of millennials, choosing organic is an integral part of living green, versus 32% of Generation Xers and 28% of Baby Boomer,” according to Janus Henderson. ORG tracks the Solactive Organics Index, but this is not a dedicated consumer staples fund as that sector represents just over 61% of ORG’s weight. This consumer fund also features exposure to the materials and consumer discretionary sectors. Just 22.30% of this consumer fund’s holdings are classified as large caps. The average market cap of ORG’s holdings is $4.11 billion. For investors looking to add some momentum to a sector that is rarely associated with the momentum factor, the Invesco DWA Consumer Staples Momentum ETF (NASDAQ:PSL) is a consumer fund to consider. This consumer fund tracks the Dorsey Wright Consumer Staples Technical Leaders Index. “The Index is designed to identify companies that are showing relative strength (momentum), and is composed of at least 30 securities from the NASDAQ US Benchmark Index. Relative strength is the measurement of a security’s performance in a given universe over time as compared to the performance of all other securities in that universe,” according to PowerShares. PSL holds 36 stocks, just 18% of which are classified as large-cap names. About half this consumer fund’s lineup is devoted to food makers and diversified consumer services providers. PSL is up 8.33% year-to-date, making it one of 2018’s best-performing consumer funds. The iShares Global Consumer Staples ETF (NYSEARCA:KXI) devotes nearly 51% of its weight to U.S. consumer staples funds, indicating this consumer fund has sufficient ex-U.S. exposure as well. Ten other countries are represented in KXI, only of which is not a developed market. Familiar domestic names in KXI’s top 10 holdings include Procter & Gamble, Coca-Cola and Costco Wholesale Corp.(NASDAQ:COST). Although this consumer fund features international exposure, its three-year standard deviation of 9.66% is inline with that of broad U.S. equity benchmarks. Though its dividend yield is slightly lower than domestic rivals, this consumer fund trades at a modest valuation discount to its U.S.-focused rivals. The post 5 Consumer Staples ETFs to Add to Your Shopping Cart appeared first on InvestorPlace.